Vitamin D supports bone health by enhancing calcium absorption. It also modulates cell growth, neuromuscular, immune function, and reduces inflammation. 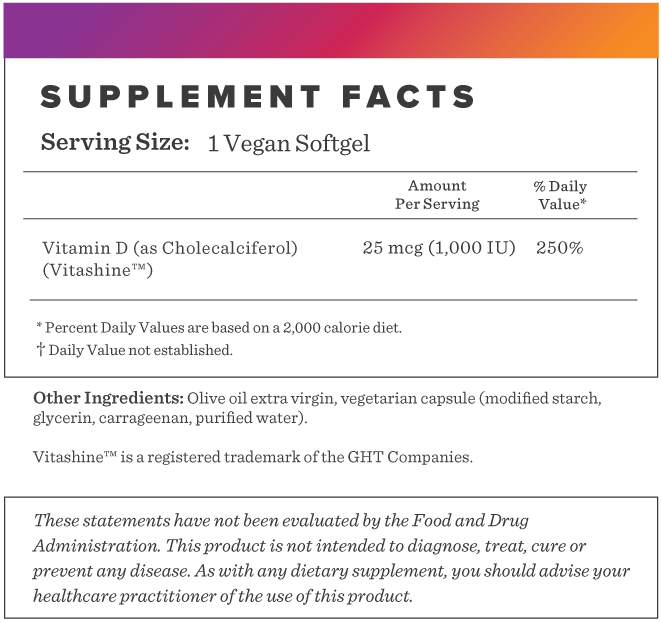 Our Vegan Vitamin D is sourced from lichens instead of sheep’s wool, making it vegan friendly. Vitamin D, sometimes called the “sunshine vitamin” is a fat-soluble vitamin that can be produced when the skin is exposed to the sun''s ultraviolet rays. Geographical location, use of sunscreen, and lack of outdoor activities impact vitamin D status in the body and may lead to a deficiency. Research shows it helps the body maintain a healthy inflammatory response and improve overall mood and bone health. 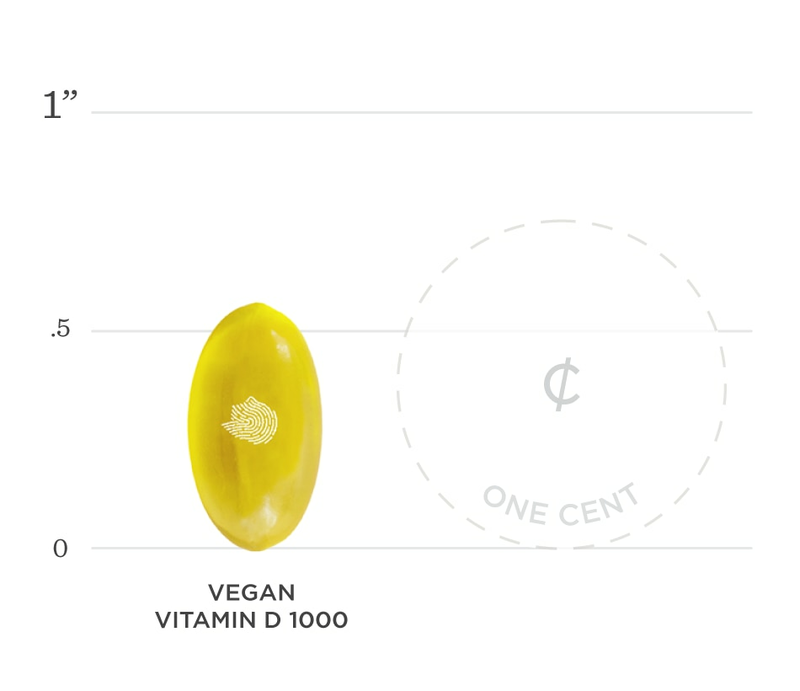 Below we've broken down the main functions of our Vitamin D - Vegan - 1000IU and the benefits it can provide.